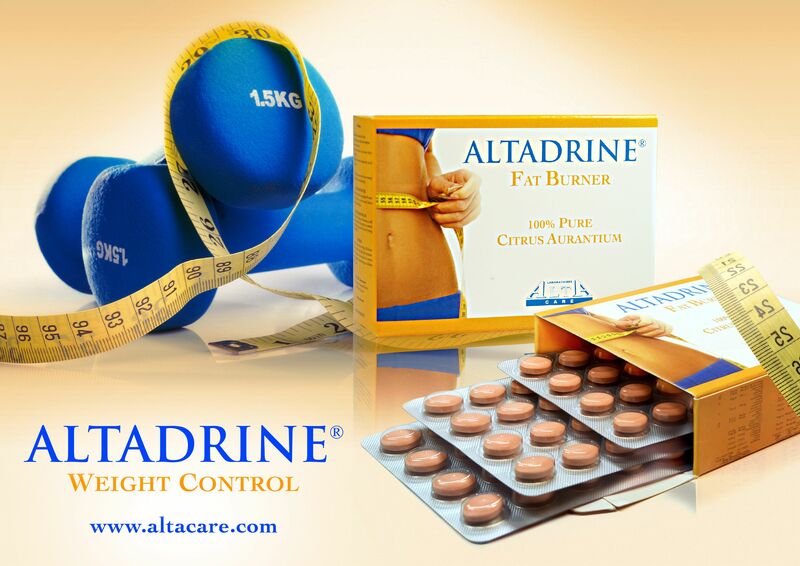 Altadrine fat burners are 100% pure body fat burning tablets containing 6% of synephrine.Weight loss and fat burning is immediate. Body fat burnt is converted into energy resulting in one's waking up full of energy. 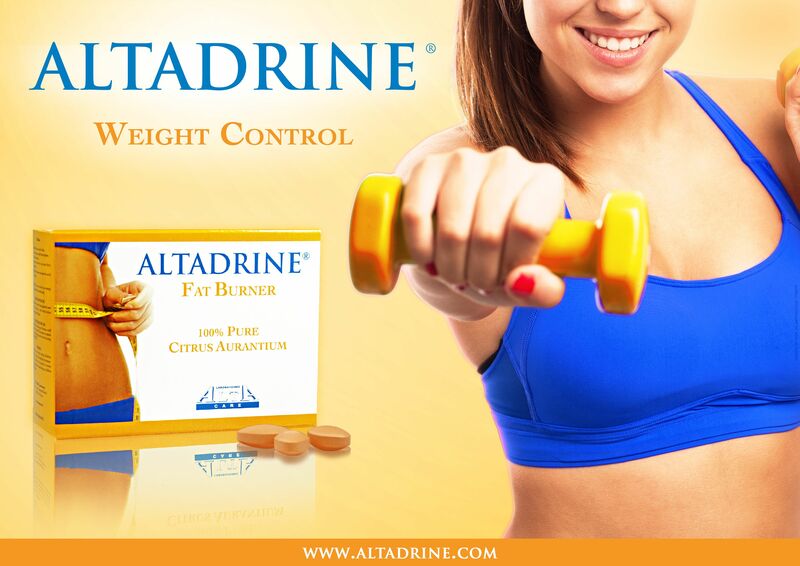 Altadrine fat burners act on body fat while fat blockers act on the fat of the food. The synephrine is extracted from citrus aurantium known as the"seville orange". The synephrine acts on the beta 3 receptors that are found on the adipoctyes (fatty cells). The fat inside the adipocytes is converted into ATP energy according to the Krebs cycle.1g of fat is converted into 9 ATP.When one is taking Altadrine fat burners one will note that he or she will wake up with more energy. This energy is known as energy released by ATP and it is different from stimulant energy that is only temporary. Consult your doctor before taking Altadrine tablets if you suffer from high blood pressure.